And what other dessert to start with, but the most delicious, beautiful, easy, artistic.... I'm talking, of course, about Tiramisu! This is one of my favourite desserts ever. And there is something very special about my version of Tiramisu: there is no liquor in it. 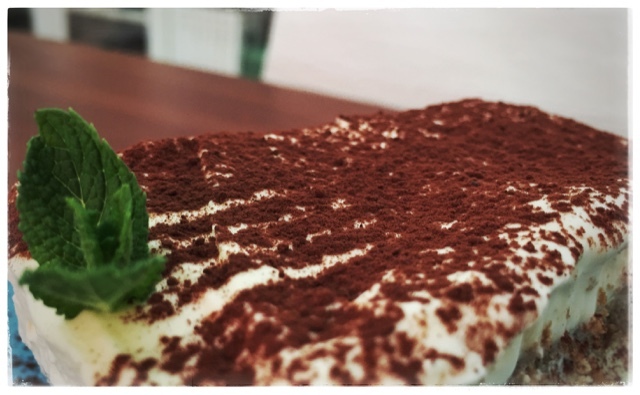 The original first Tiramisu was made of finger biscuits, coffee, sugar, egg yolks, mascarpone and cocoa powder. No liquor, no cream, no egg whites. It was served in a round, glass bowl, so that all the guests could see the layers (Mary Berry-style: lairs) of the Tiramisu. That must be hard, considering that the finger biscuits or ladyfingers (Dutch: lange vingers) are actually shaped as a rectangle. I always use a rectangle-shaped form! 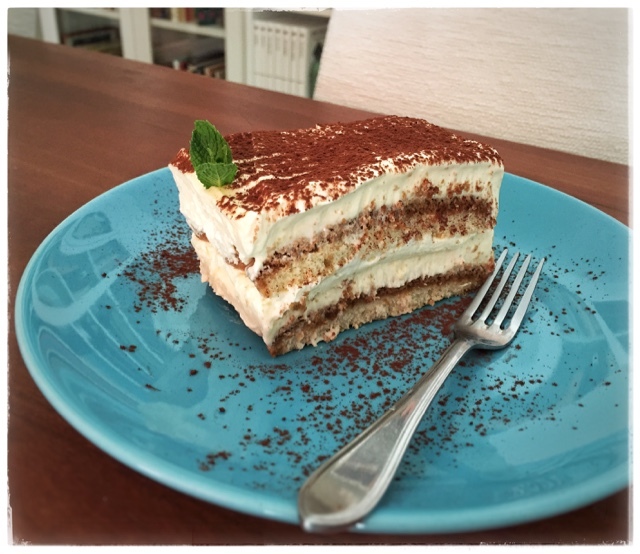 Tiramisu is actually a very modern dessert. The exact date isn’t know, but it didn’t appear in cooking books until the 1980’s. 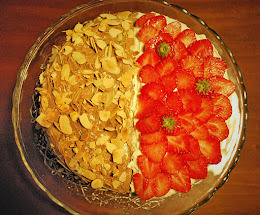 The dessert itself is rumoured to have been invented in the 1960’s, in the region Veneto, Italy. Fix yourself a cup of coffee so strong your stomach will twist itself if you take a sip. Sorry, it’s the only way to explain :) Leave it to cool for a while. 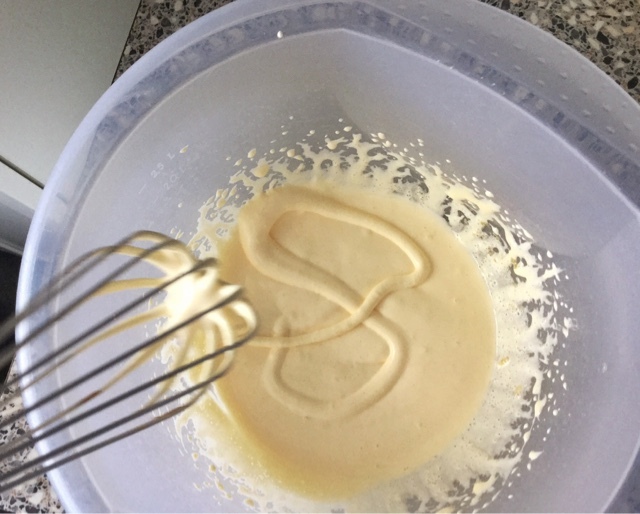 Add the mascarpone in 4 parts to the egg mixture. Beat well so there will be no lumps! With a whisk, beat the cream and vanilla sugar until stiff and add to the egg-mascarpone mixture. 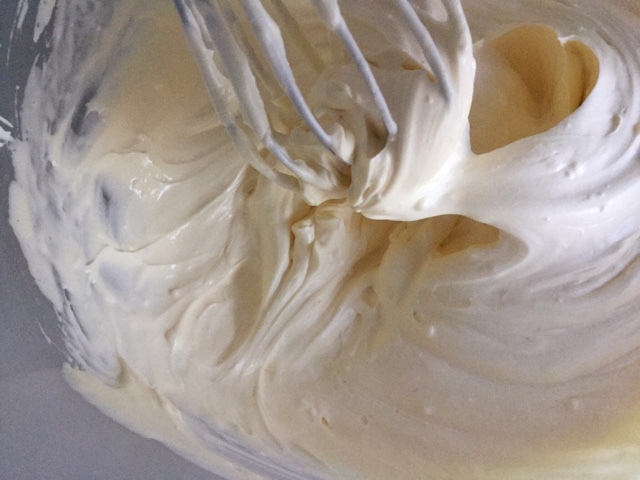 Isn't this just a beautiful, perfect, silky mixture? Pour the now cooled, very strong coffee in a flat bowl with the almond extract and mix it a bit. 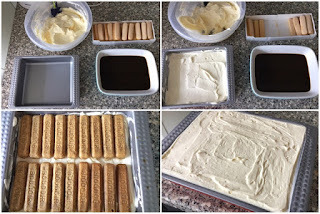 Dip in the finger biscuits/ladyfingers and place them with the moist part upwards, side by side in the rectangle form. Then, put a thick layer of the mascarpone cream on the biscuits. And keep repeating until the form is filled! Sprinkle on the cocoa powder before you serve the tiramisu, add decorations (like mint) if you like. And you’re done! Warning: Tiramisu can be dangerous to eat if you’re pregnant, so please don’t try it if you are! 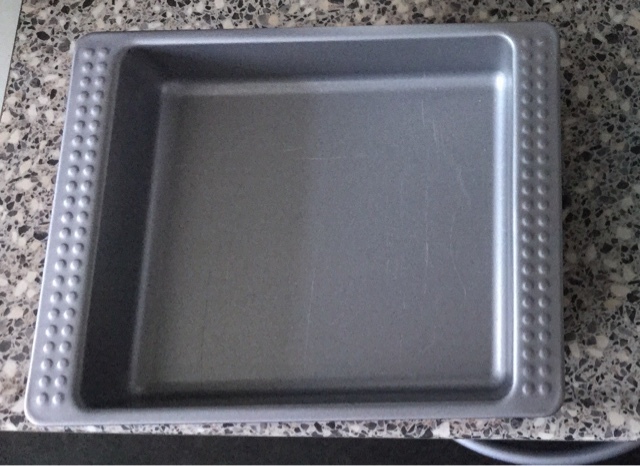 I have the exact same pan! (Drömmar from IKEA, isn't it?) 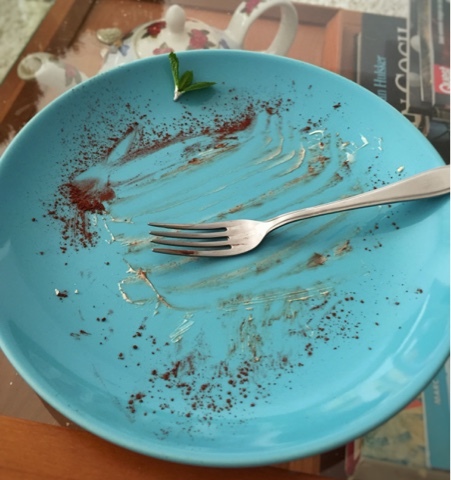 Anyway, I ate a tiramisu at a traditional Italian eatery a few months back and they placed the tiramisu slice on a cold, heavy stone block and it made for a great presentation and it kept the cake cold until the last bite :D (an inspiration for you, perhaps?) It was so good and I bet yours is too!! Yes that's right! It's very handy, isn't it? Thank you so much, I will keep it in mind. A stone block is simple presentation, exactly the thing I love!